Part One: What makes books a great holiday, birthday or anytime gift? From the inception of great literature meant for children, books have been seen as the perfect present for a child. In the English Golden Age of Children’s Literature, which ranged from the publication of Alice’s Adventures in Wonderland in 1865 to the beginning of the First World War, the creation of Christmas books especially for children was a publishing event. Famous authors were expected to produce a Christmas book—and illustrators to illustrate one—and such books graced the tables of masses of children and adults (who, as well as children, read them voraciously). The child. The book. The gift. The three were inextricably linked during Victorian and Edwardian England’s holiday season. Books were desired and expected as gifts, and they were often so ornately produced that they acted as their own wrapping paper. Since that time, the number of books for children has increased exponentially, and the number and kinds of holidays we celebrate has, thankfully, become interestingly diverse. But the links among children, books and celebration continue to exist. Books make marvelous gifts: all tradition aside, there is no better way to open up the world view of a child than by giving a book. This is so even though we live in a world where books are not always the cool gifts. Aunt Harriet’s coming to dinner. Watch out—she’ll give you a book. Good old Aunt Harriet. Books may not be the most popular of gifts for everyone, but then Aunt Harriet may be picking the wrong books as gifts. Perhaps she has not learned a cardinal rule: one’s own favorite childhood books may not hold the same interest for everyone. Give a book—but pick a book that’s relevant in terms of age group and interest. There are hundreds of websites willing to help with this, including those that list award winning books in various age brackets. Find one. And then don’t be afraid. Because when the wrapping paper is cleared away and the other presents no longer hold a bright and shiny interest, the book remains. The child opens it. And all the generations of storytellers hold their breath, because it’s possible that everything in this child’s world is about to undergo a shift, a change, a revolution. Whether narrative non-fiction, or a tale in a realistic style, or science fiction or fantasy or any number of genres, books invite us to identify with others and with other worlds. They invite us not to be sponges, but to be critical empaths. The breach between our world and the world of the book opens up a gap that demands that we engage our critical faculties. When a child, or any one of any age, engages with the characters and setting of a book, our own world begins to look different. Perhaps, a reader might be led to consider, something should be done about that. And so books engender hordes of little thinkers and revolutionaries. Aunt Harriet, with her gift of a book, then, is engaging in parentally sanctioned subversion. That’s what’s so great about books. Everybody thinks children should read them, and yet the really great books, the classics, challenge the beliefs of children and adults alike. That’s why there’s censorship. Eventually someone invested in the status quo may read one of these books—and realize that books aren’t just educational doorstops; they are powerful magical agents of transformation. That makes them dangerous. Give a book; change the world. Part Two: Favorite books from childhood. I was an old-fashioned sort of reader as a child. As a seven year old, I fell in love with Wilbur the pig in Charlotte’s Web (E.B. White). At ten, I went through the great books of the Golden Age of Children’s Literature. I read and re-read The Railway Children (E. Nesbit), The Secret Garden (Frances Hodgson Burnett), At the Back of the North Wind (George MacDonald) and others, often with good old tears streaming down my face. As I read them, they were each my favorite book, and I never wanted them to end; I wanted to be able to read them again for the first time. I still do. Part Three: Should you give my books as a gift? 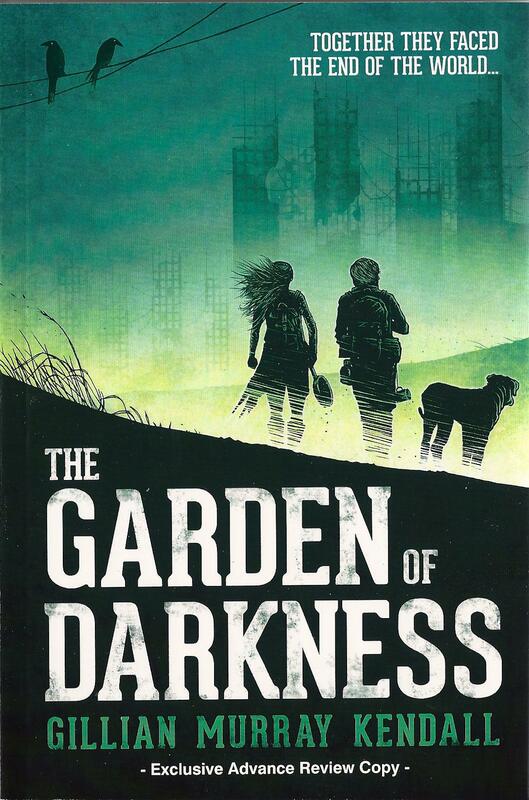 The Garden of Darkness (Ravenstone, 2014), for 14+, would also make a good gift. This is a book that empowers children and that celebrates qualities that enhance our relationship with the world around us. When I was writing The Garden of Darkness, I worked to get out the storyline, to tell the tale. When I had written The Garden of Darkness, I realized that I had on my hands a testament to children’s strength of mind and courage against great odds, as well as a work about friendship, the ability to build family and, finally, the ineffable nature of love. This book gives the gift of confidence in the self and a knowledge of the power of independence. It’s a good book for the holidays. This book chronicles the physical and psychological journeys of two children who survive a modern plague, a fifteen year old girl, Clare, and a thirteen year old boy, Jem. Clare and Jem make an odd pair: before Pest fifteen year old Clare was a cheerleader, while thirteen year old Jem was president of the chess club. Once Clare, Jem and other children band together and try to rebuild their lives, they feel the pull of the only adult left on the planet, and they begin a journey to find him. Eventually they are led to this adult who they hope will save them, organize them and redeem them—or does this grownup have something else in mind? In the final accounting, Clare and Jem realize that ultimately they can only look to themselves for rescue. Moreover, in the course of questing for survival, Jem and Clare discover that the greatest weapon they can wield against the evil left in the world is friendship, and that, out of friendship, can come love. Where can you find The Book of Forbidden Wisdom and The Garden of Darkness? The Book of Forbidden Wisdom (HarperCollins, ebook, March 8, 2016; print, April, 2016) is available wherever ebooks are sold. To be helpful here is a link to the Amazon site and Apple iBooks site. 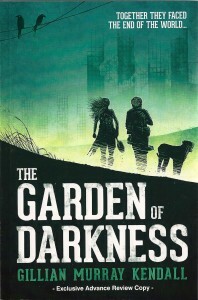 Barnes and Noble carries The Garden of Darkness (Ravenstone, 2014), and it can be ordered from independent booksellers (who may have it in stock). This is a link to its Amazon site, to make it easy. May many excellent books come your way.